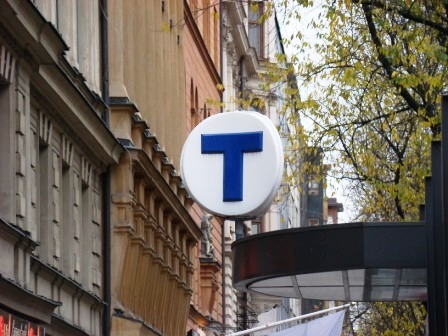 The Stockholm metropolitan area has around 1 million people. It’s small — a lot like Boston. Also, I’ve found that the city seems to shut down at around 6pm (again, like Boston above ground. The subway logo is what really sealed it for me. It clearly resembles the one used in Boston. But, the subway has an incredible reach. 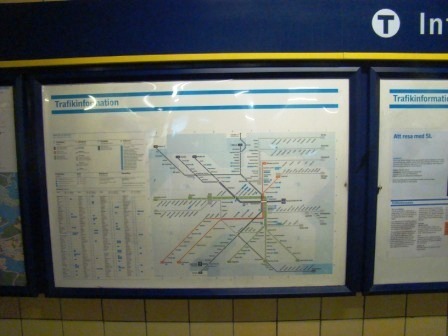 It’s easy to figure out the map, and the trains actually take you to places you’d want to see. so, in this regard, it isn’t like Boston, not at all. Instead, it looks and feels like New York, with just a dash of Paris. Of course, the design is strictly Scandinavian. The trains come regularly, even quickly. 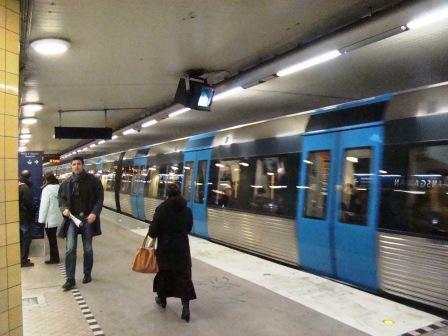 They are real trains, not like the green line trolleys of Beantown. The cars are spacious and clean, showing some elements of the Washington, DC system. 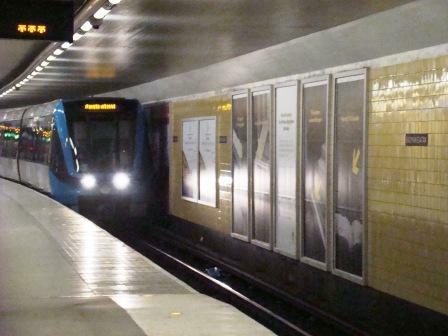 The digital signage actually works, and you can get a sense of how far away the next train is. Put simply, the subway system is … dare I say it … convenient. 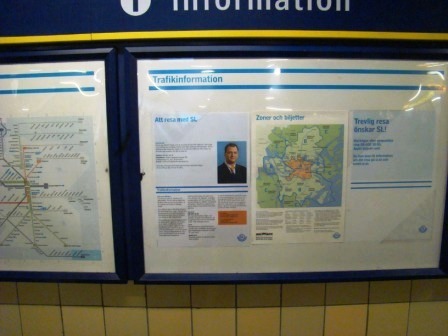 The notices with rules, maps and the station manager remind me of what you see in a New York subway stop. And, the trains are quite large, with many cars available. They are more “heavy duty,” like New York, but they are clean and slick, like Washington, DC. And, they are quiet and smooth, though a little less so than those in Paris. 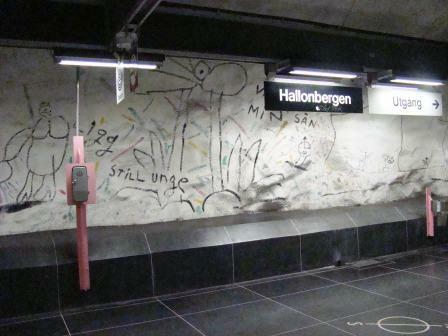 Unique to Sweden, the stations are all designed to look pretty cool. 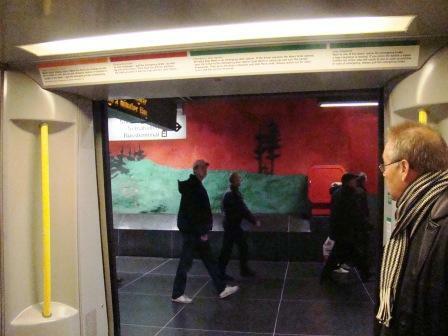 Every station is different, with murals of various kinds. One of them even has a cave-style theme! Still “unge”? 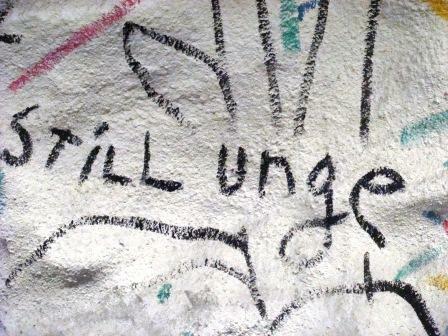 I guess it was “unge” before!